Can we get a 'Snowflake' node for home instance pretty please? It would be awesome to have a home node for all festival items, materials, and map specific items. Basically have something that people can use to work towards materials, rewards, or achievements without locking access to a specific map, time-frame, or play type. Getting items from home nodes or daily boards is a slow build reward that over time gives more opportunities to players for rewards and can help encourage exploring new things. 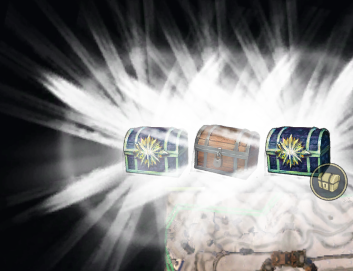 A part of my entry into WvW was directly from getting badges of honor from achievement chests. The first time I entered PvP was to use the PvP armor from the same chests. 1. 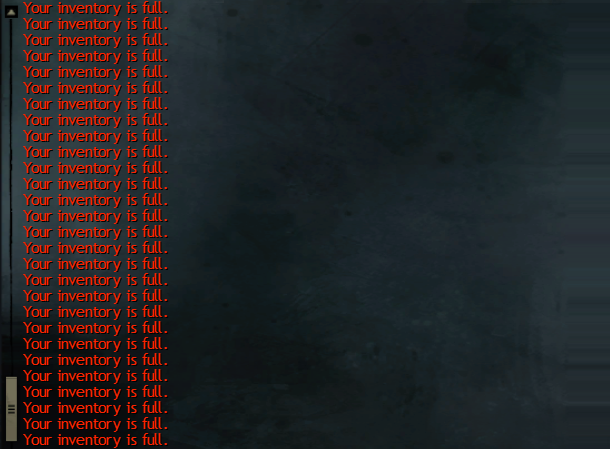 Elementalist summons not having a time limit and to be out permanently, like minions or pets. They also should also come back after mounting and dismounting like minions or pets. Even better would be that all classes had the option to have their own version of permanent minions/pets/summons/clones. This would be an awesome elite option for the other classes. As someone who has a lot of infinite gathering tools, this would not help me. However, it is an excellent idea and should be implemented for standard gathering tools. Account-wide crafting, so all characters can do all the crafts learnt. 1) Currently I have to use GW2Efficiency to find out what character my dang items are. It would be nice to have a way to see all your characters items and inventory on one screen. This should be on the character select screen in some fashion. This would be really nice. 1. Personal map nav points that we can set ourselves, just to make those long scavenger hunts y'all are so fond of a bit easier. This would be great for multiple items not just scavenger hunt areas. For those who have endless version of it, placed in shared slot, Instant Repair Canister have no value. Sorry if this has already been suggested. You know how if you hover over an item, it will now say how many you have in storage, or the bank? Or if you hover over a piece of gear, it will show a pop-up of the gear you currently have equipped in that slot? I love the new information on materials that tells us how many we have in storage and bank. Would it be possible to add an option to view if any and how much of an item is needed for upgrades to your currently represented guild? It is extremely annoying running back and forth to bank and guild treasurer. Also, along the same lines. Could we get a guild material storage to hold scribe items that are not account bound so that anyone in the guild doing scribe crafting can view it as available? I know there might be an issue with multiple people trying to access the same item at the same time like with guild bank, so I am proposing two possible solutions. 1. Make it so the guild material storage is only accessible for withdrawal/use from within the guild hall itself at the scribing station. 2. Put a lock on withdrawing/using items from the guild material storage to one open interface at a time. Maybe an alert could come up, that the guild material storage is currently in use. For the guild treasury interface have a filter to show "completed" materials. In my current guild we have about 20 upgrades we can add items for, and when there's such a huge list of items it's hard to see which are full and which you still need. This is likely to run into problems, especially in larger guilds where several people may want to use it at the same time, and it is also heavily open to trolling. You know what I'd love? A way to queue "teleport to a waypoint while in combat" so that I can warp as soon as I leave combat. imagine that you want to go elsewhere, and just as you are about to click on the waypoint (which took you like 10 seconds to locate because "gosh, the map is huge") you get hit by a random warg... and now you gotta close the map, deal with the nuisance, and restart the process? This has happened several times and it's driving me crazy. Maybe I should just click the waypoint to place it in my chat to shortcut the process (to the annoyance of everybody else in the map chat...). ._. On that same note, it would be nice if things like WP or mounts would not be disabled in combat, but instead converted to a long, interruptible channeled skill. So, if the game has decided you're in combat for some BS reason, but you can sit still and not take any damage for six seconds or so, you can still use those abilities. Could the forum please stop signing people out after a day? You were signed out due to inactivity. Could the game make it so that if you need X item to complete a collection, one that drops from Y character, and have killed hundreds of Y with no luck, let us get the darn item! In other words, RNG is fine for a while, but hours and hours of grinding are absolutely NO FUN, and then there could be an override of RNG. Thank you. I would like to see Aura Item Previews within the wardrobe and optioned on trade post or pinged in chat while at the same time having the ability to turn off other player auras. Will cause more gold sink but also give others an idea of what they want their character to look like, to help tell a story. Could also increase gemstore sales based on combos. 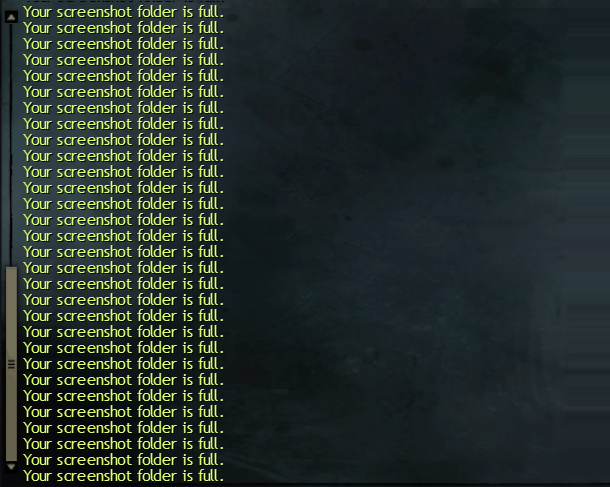 Maybe Anet could clean "Open world" category in LFG tool. Now there are slots for every map from living world - can't you compress them into one category? Most of them are empty anyway. A stat selectable Ascended amulet with PoF stats. There currently isn't one in game and it's a serious drag on set building. I would also like a cleanup to LFG, but have a different take on the proposal. Further I suggest a checkbox option for each category that would be something like the list below. I am thinking that you set what you are willing or looking to do for each map/section and in the LFG posting area it would show "someone wants to Mentor" or something similar. When a person clicks on that entry, it pops up on your screen either as a party/squad request or like the map empty notice or PvP team balance notice. That will reduce the really huge lists and remove some of the confusion about where you post items. It is really kind of silly to have a listing for everything broken out as they currently do. For example, I have seen postings for boss trains in "Central Tyria - Squads", "World Bosses", and the specific map entry. It would also work for achievements, story, or meta's that end up crossing maps. There is a lot to this that would need cleaned up or tested, but I would really love to see something that is easier for me to use to advertise that I am looking to do any of: Story progress; map complete; elite collection; mount collection (griffin or beetle); meta; all bounties in first PoF maps. As well as saying I can mentor/squad lead for HP train in Auric Basin. I think there should also be a change to the WvW section in that you list your server for now so you don't accidentally squad up with competing servers. When the rework to the world server thing happens, maybe have a similar check list for the eternal battlegrounds maps and for each of the land maps. If it has not been mentioned before, PLEASE make personal merchants (usable only by the owner) so they cannot be interacted with by anyone but the owner. People placing their merchant over nodes is very frustrating (i know it can also be an auto-spawn if bags full). Trying to find the node to click on it to bypass the merchant is also a pain sometimes. I forgot to mention another QOL issue i wouldn't mind having. Just like in your character inventory you have a Deposit all Materials option. It would be nice to have that option in the Account Vault. There are times you pull stuff out of material storage (mystic forge recipes, for example) but still have the same material in the account vault since you had more than the material storage would allow. There are other ways materials end up in the vault and not the material storage area. It would be nice to have the deposit option to help clean up the vault. Thanks. There are personal merchants right now but still other players can click them which is true, can lead to very frustrating situations when you can not click on NPC you want.. Suggestion: Make the "Deposit All Materials" and "Compact" Options menu items, buttons at the top of the Inventory screen. Make the buttons big so they are easy to hit, unlike the small Options gear. And/Or, provide an auto-deposit-all-materials setting. In the Account Vault Material Storage, provide the ability to sort by stack size. i.e. I want to find all my full stacks so I can sell off the excess. More options to hide cosmetic effects such as infusions, back items, and weapons. Build Templates With Skills, Armor and Weps to jsut Load when not in combat. I would like to suggest allow to set custom name in each bank tab (eg. loot bags, equipment). It would be easier to find and organize stuffs in the bank. Since each tab doesn't have name, I find frustrated to scroll up and down / hide tab which reset itself always on each access. Recipes that are already known turn into karma or recipe books that are already fully known turn into karma or don't show the ones that are known if there are still some to be known. I think Bloodbound weapons are awesome due to their account bound and leveling scaling functionality. Unfortunately, 250 Provisioner Tokens per weapon is way out of the league of casual players. Can we get some green quality Bloodbound gears (preferably trinkets since they’re usable by all professions) that cost like 30 Provisioner Tokens each? As an altoholic, account bound level scaling trinkets would be amazing to have. On a side note, heirloom gears in WoW also give experience bonus per piece (like +10% XP per piece). That or make it that all personal merchants/ permanent contracts can be used by all if they spawn an NPC. It would be nice if we could freely access the Priory's library as a personnal instance. There, would be collected all the books we gather through achievments, which we never keep in our inventory... The books would either be spread across the whole library with a distinctive sign to differenciate them from the books that were already there, or concentrated in the same aisle to make the browsing easyer. Lota suggestions for revennant here.. No idea where to start, but really, in pvp is just so bad... everyone targets the rev because if there is one, its a 5v4 the whole match due to rev falls so easy, like, Really easy to kill... They are mostly useless now... Weak armor, way to weak... Cloth armor can out tank a heavy? This is kinda wrong, but its just my opinion. I see about 3 revs per season in the top 250 if that, and lately 50% of them are mirage... Wow. The instant death from mesmer now... even on my 32k hp engi, its so fast ya cant even hear the mesmer dagger sound until your on the ground dead... 40k hp in .oo2 seconds? ouch... not sure who made that up, but its just wrong. How are you seeing these anyway are you a clicker? If so try to relearn that bad habbit mate. The clicker argument is always there. If you are a clicker you are a bad player and you do not deserve any improvement...Mate, forget about clickers and clicking, good players and bad ones. Some skill descriptions are huge and even if you pass your mouse over them by accident it is annoying. Of course, clickers will encounter this problem more often but...clickers do not have the right to receive improvements from developers? Mate, hide skill descriptions is a quite easy feature to implement with a minimum cost. You do not represent Anet to say: hey! learn to play and do not bother me with clicker stuff! It's been requested before, on these forums even...the short answer is, it's not going to happen, try using the Search function next time before posting: https://en-forum.guildwars2.com/discussion/24555/disable-tool-tips-during-combat . Your conclusion is wrong mate. The short answer is...there is no official answer from Anet on that issue, even in the thread that you link me. Thanks for pointing me to the thread but don't say that this is not going to happen. You are not Anet, and you do not represent them so please, if you are not interested in this issue just ignore it. The point they were trying to make is don't hold your breath. That thread is over a year old and as you said, no response from Anet. This has been asked for even in the old forum with no search function. UI Options are always good. A 1-2 second delay would be grand. An option to disable skill effects or at least make them less flashy is my absolute top wish right now. Group events are terrible and hurt my eyes even on low settings. In WvW, when we start using a siege like an arrow cart, our screen spins around to face the same way the siege is pointing. Can this be turned off? Update to personal merchants. So, some trolls are now putting personal Black Lion merchants over spears in thunderhead keep meta. Now you are hunting around trying to click on the spear barrel or get the interact to get the spears. And this was NOT the reset meta, where you might want to go slow. It's gone beyond spamming them on chests/farm nodes. Personal merchants of any sort should be placed in-game in whatever way is necessary that other people cannot interact with them. Pretty please, make moto's unstable bauble infusion red and blue droppable, sellable on Trading post. I really want to have that infusion even if it cost me bauble bubble, got 30 of them last year wondering what I could do with them. Currently it's locked behind collection whereas ALL other infuz are available.